You´ll hear from bloggers that it´s critical to not skimp on your tour service when you hike the Camino Inca, but Inca Trail Reservations provided AMAZING service for the price. 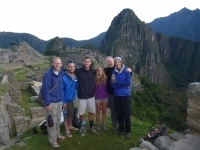 Our trip on the Inca Trail was a check off the ¨bucket list.¨ Inca Trail Reservations made our booking easy, and provided regular updates (as needed) during our planning stages. They were also helpful in suggesting other, additional trips that we might enjoy. We used this service to book our tickets to Huayna Picchu. 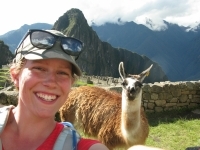 I did the Salkantay trek to Machu Picchu and thought the trek was amazing. The first thing that stood out is how good the food was. I was expecting typical camping food. There were two chefs that would go ahead of the group, carrying not only all our backpacks but also all the food and kitchen supplies. I went on the Salkantay Trek with my good friend, and we had an amazing time together! We were picked up from the airport by the staff, which was highly appreciated. The Trek staff also gave an orientation session prior to the trek which was very informative and helpful. We felt very well prepared before leaving. I thoroughly enjoyed my Salkantay trekking experience. I have never participated in a trek like this one before. I was very impressed with how the Salkantay.Org staff volunteered to pick us up at the airport upon our arrival to Cusco. 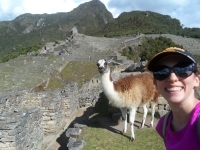 Visiting Machu Picchu had been a lifelong dream of mine. 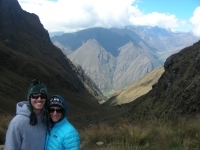 When my wife, Stacie, and I began planning our trip, we discovered Inca Trail Reservations, and the opportunity to do more than simply visit. Instead, we could actually hike the Inca Trail! HI my name is Jim Corbett and I live in BC Canada. The Inca Trail was one of the most fantastic experiences of my life. The orientation was great and gave us a good idea what to expect on the trail. I would suggest anyone over the age of 40 hire a porter. Amazing few days on the trail! Cannot reccomend doing the Inca Trail enough, it was harder than expected, especially in the rain, but after 3 nights camping, to arrive before the rest of the tourists on top of Machu Picchu was an incredible feeling. 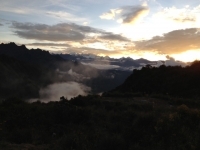 I started my inca trail on the 17th of april. I had no idea what to expect. Some people told me it'was really hard, other people told me it wasn't that hard as they imagined. The first day of the trek the guide picked me up at my hostel around 5.30. You Have To Try It!! !